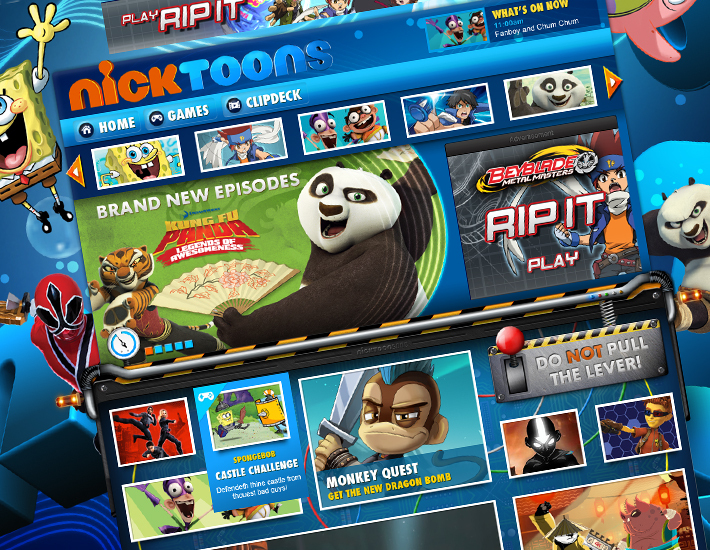 We were asked by Nickelodeon to work with their Nicktoons team to design and build a new Nicktoons site. Our aim was to create an fun hub for kids to access games, clips and show information with a real emphasis on fun and interaction. 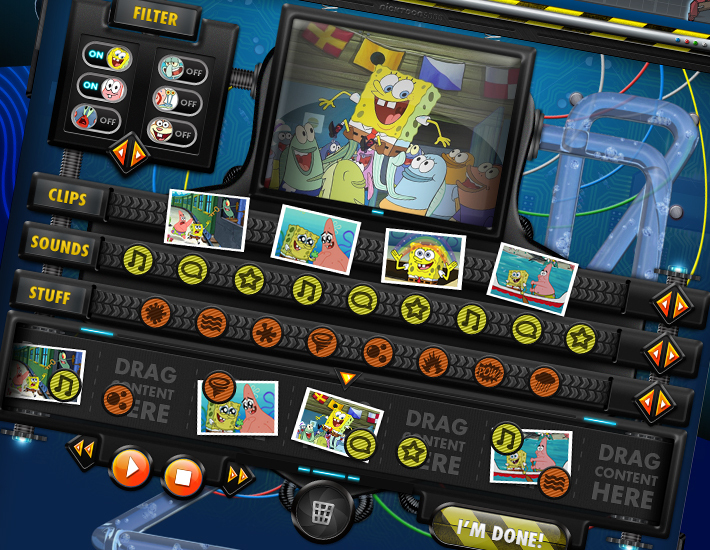 I was responsible for designing the Clip Deck, a flash device that would allow kids to create their own videos from their favourite shows. I tried to make it as tactile as possible and give it a cool mechanical feel. 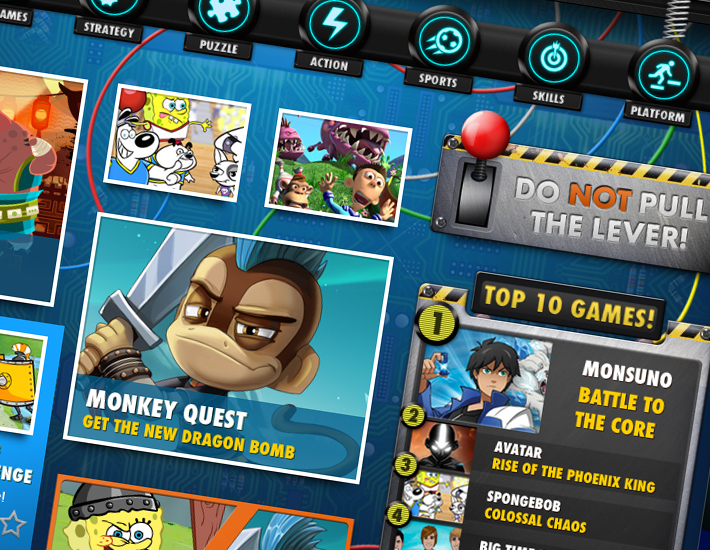 I was also responsible for the layout of the other pages as well as the creation of the animated buttons on the Games page. 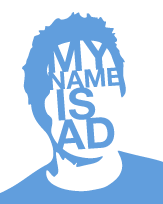 This was a hugely rewarding project for me as I worked on every page of the site and was able to use my imagination to come up with engaging and exciting designs.